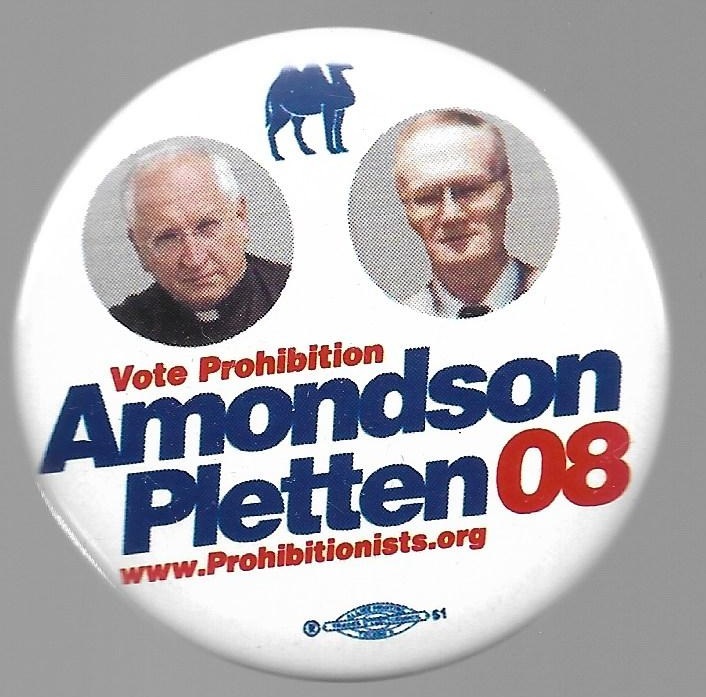 The Prohibition Party split in 2008; one wing featured a duo of Gene Amondson and LeRoy Pletten. This 2 1/4 inch celluloid jugate is from that election. Excellent condition.